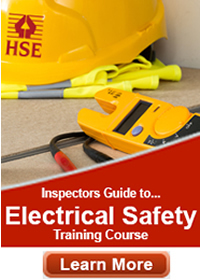 Listed below are some commonly used electrical standards and approved codes of practice. Additional standards and codes of practice would generally be needed to satisfy a specific application - it is the responsibility of the specifier to select and apply these. You should ensure that the standard you use is the current one. BS 7909 2008 - 2011 Code of practice for temporary electrical systems for entertainment and related purposes. IEC 60479 Parts 1-4, also PD6519 1994-2005 Guide to effects of current on human beings and livestock. BS 1363 Parts 1 -5 1995 - 2008 13 A plugs, socket-outlets and adaptors. BS EN (IEC) 60309, Parts 1,2, 4 1999 - 2007 Plugs, socket-outlets and couplers for industrial purposes. BS EN 60320, Parts 1, 2 1999 - 2009 Appliance couplers for household and similar general purposes. BS EN 61000-6-3,4 2007 - 2011 Electromagnetic compatibility. Generic emission standard. BS EN 61000-6-1,2 2005 - 2007 Electromagnetic compatibility. Generic immunity standard. Explosive atmospheres. Explosion prevention and protection. PD CLC/TR 50404: 2003 Code of practice for avoidance of hazards due to static electricity. BS EN 61241 2004, 2005 Electrical apparatus with protection by enclosure for use in the presence of combustible dusts. BS EN 60079, many parts 2004 Electrical apparatus for potentially explosive atmospheres. Replaced by BS EN 60079, but remains current. BS EN 60079-6 2007 Explosive atmospheres. Equipment protected by oil immersion "o"
BS EN 60079-2 2007 Explosive atmospheres. Equipment protected by pressurized enclosures"p"
BS EN 60079-5 2007 Explosive atmospheres. Equipment protected by powder filling "q"
BS EN ISO 13850 2008 Safety of machinery. Emergency stop. Principles for design. BS EN ISO 12100 2010 Safety of machinery. General principles for design. Risk assessment and risk reduction. BS EN 1088 2008 Safety of machinery. Interlocking devices associated with guards. Principles for design and selection. BS EN 60204 many parts Safety of machinery. Electrical equipment of machines. BS EN 61069, Parts 1-8 1991-1999 Industrial-process measurement and control. Evaluation of system properties for the purpose of system assessment. BS EN 61310, Parts 1,2,3 2008 Safety of machinery. Indication, marking and actuation. BS EN 61496, 3 parts 2004 - 2008 Safety of machinery. Electro-sensitive protective equipment.